Pepper earns her first point in the Altered ring with Madison McGinnis at the DASF show in Turlock on January 19, 2014. Thank you, Judge Margaret Alhino and Madison! 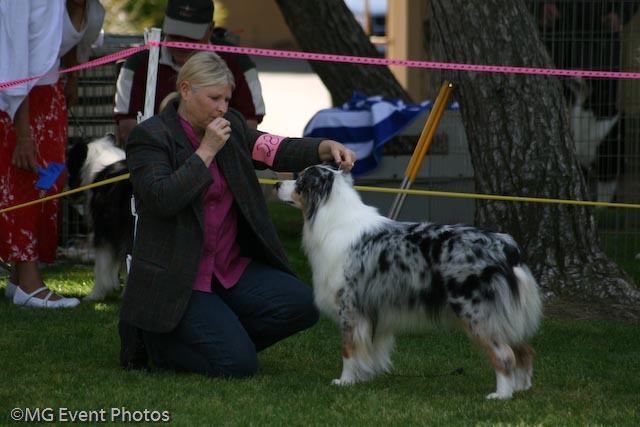 5.25.13 Pepper finishes her Rally Excellent Title at the WASOC Trials in Dixon, CA under judge Lora Cox! 3.31.13 Pepper earns her first leg towards her Rally Excellent Title under judge Lori Fausett. 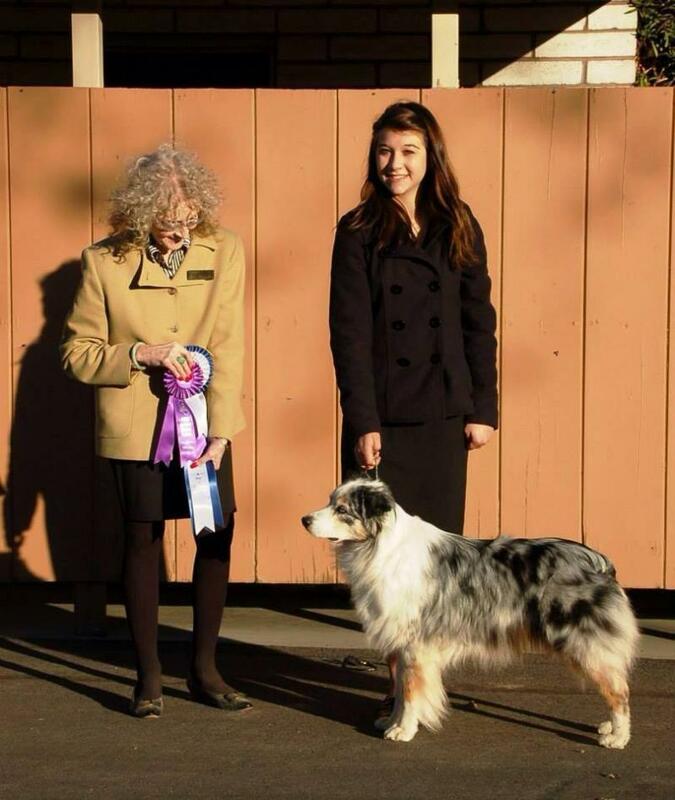 Delta ASF provided us a chance to finish Pepper's Companion Dog Title under judge Betty Fisher! 11.6.11 CVASC hosted 4 Rally Trials and we finished her Rally Advanced title with style, earning 1st place both legs with 1st (186), 1st (195) and a bonus leg for 2nd (181). Thank you judges Janice Dreath and Barbara Arnine. Give a girl time off for cycles, raising a litter of 10, being spayed and here is what she does! Rally Advanced - 1st place with a 97! Rally Advanced - 1st place with a 94! Now to kick it up a notch! Time to train off leash, everywhere we go. Rally Novice - 1st place with a 99! Rally Advanced - 1st leg with a score of 80. Rally Novice - 2nd place with a 92! Rally Novice - 4th place with an 83! First time competing in Rally. Go blue girl, GO! 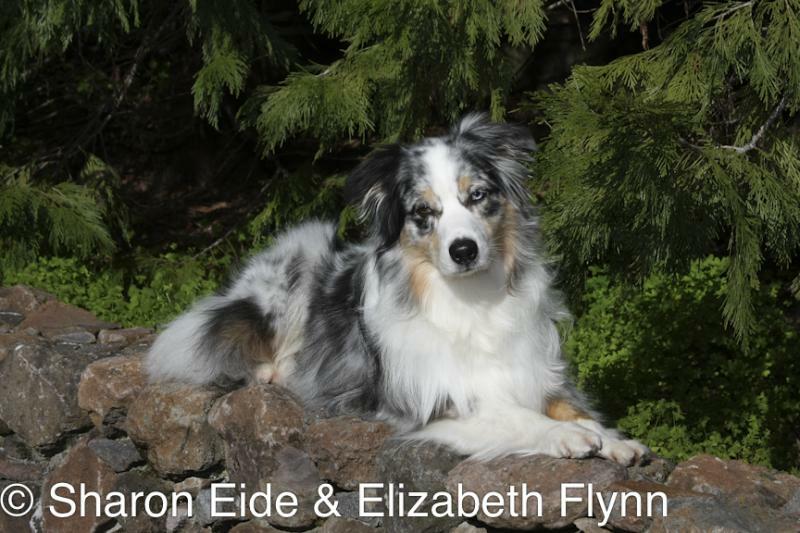 Handled here by her breeder, Laurie Friberg of Woodlakes Australian Shepherds in May, 2008.